Ne’re Beach Campground is easy to navigate! ☀ Tip: If you prefer morning sun, pick a site from 1-29. Evening sun is best from sites 30-57. 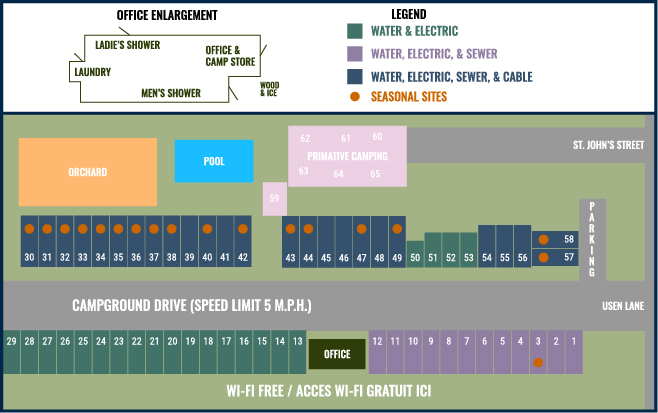 For more information on our old orchard beach campsites and their corresponding rates, Please visit our RateS Page.